Orthodontics is the dental specialty concerned with diagnosing and treating any kind of irregularities/misalignment in the teeth or jaw area. 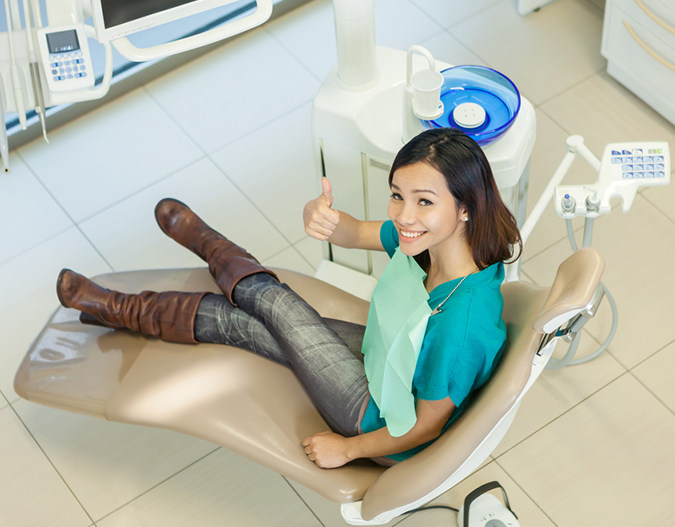 Well-aligned teeth is crucial to the patients and has several advantages like better oral hygiene, less fracturing of permanent teeth, clearer speech and a more captivating smile. At Dr. Gupta's Dental Implant and Orthodontic Centre, you can experience all that modern orthodontics has to offer with a comprehensive list of orthodontic treatment options available to meet any requirement. Dr Ankur Gupta has a vast experience in this field and constantly updates his knowledge to provide the best braces treatment in Gurgaon. Lingual Orthodontics / Truly Invisible Braces are placed on the back of teeth so nobody will even see that you have them on, unless they get an up close and personal look at the inside of your mouth. Orthodontists need special training to be able to treat patients with lingual braces. Therefore, not every orthodontist provides them. Ceramic or Invisible Braces are the most widely used teeth straightening technology. These braces are matched to the colour of your teeth and hence are less noticeable. Though inexpensive, these braces are highly effective in treating any kind of teeth misalignment. Metallic Braces/Traditional Braces are still used extensively for its excellent results and efficiency in teeth straightening. Apart from its obvious visibility, these braces can realign any teeth misalignment in a cost effective way. Invisalign treatment is the leading alternative to using conventional metallic braces. The treatment involves a series of invisible or clear aligners that are made specifically for you. Without the noticeable wires and brackets, Invisalign clear plastic aligners are a perfect way to correct occlusal problems. Invisaligners are custom made for each patient. Depending upon the alignment of teeth and cosmetic requirement, we change the aligners every two-three weeks. Each aligner is custom designed using digital computer technology to ensure that the appropriate adjustments are made. This will continue until the proper amount of correction has been achieved. Invisalign is the best way to change your smile and make it perfect without actually disturbing your day to day life. Dr Ankur Gupta is one of the most recommended Orthodontist in Gurgaon. He specialises in Lingual Orthodontics having updated his skill under the guidance of the famous Dr H M Kyung, South Korea who is a pioneer in the most advanced and precise Korean Technique of Lingual Orthodontics. Dr Ankur is associated with a wide range of institutes across Delhi NCR and provides his expertise in the field of orthodontic treatment. Looking for Braces Treatment in Gurgaon? Dr. Gupta's Dental Implant and Orthodontic Centre provides various orthodontic treatment for people of all ages. Plan your braces treatment in Gurgaon with us. Our dental clinic is located in Gurgaon Sector 31 and is easily accessible from Gurgaon Sector 30, 15, 32, 40.